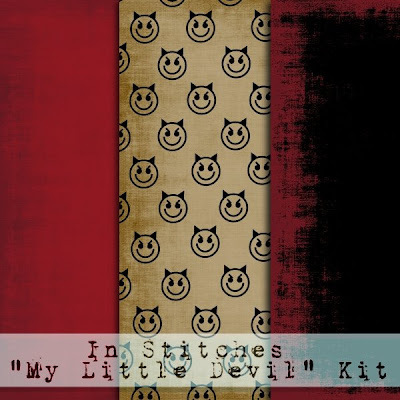 Here are the papers to the "My Little Devil" kit. Come back tomorrow for the elements. Click on the preview to download. Happy scrappin'. Thank you! Your blog post will be advertised on the DigiFree Digital Scrapbooking Freebie search engine today (look for timestamp: 02 Feb [LA 09:00pm] - 03 Feb [NY 12:00am, UK 05:00am, OZ 04:00pm] ). Thank you so much for this Freebie. 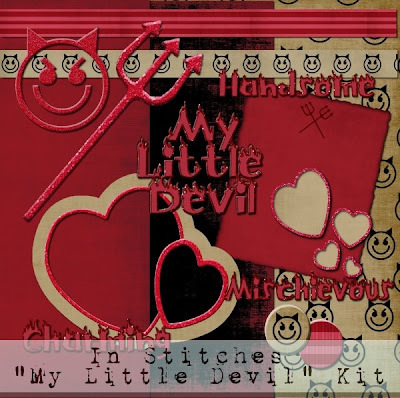 I want to let you know that I posted a link to your blog in Creative Busy Hands Scrapbook Freebies Search List, under the Elements Only, Papers Only post on Feb. 03, 2009. Thanks again.